When Frieseke first settled at Giverny in 1906, he stayed at Le Hameau (the hamlet) on the rue du Pressoir. The two-story cottage surrounded by high walls on three sides enclosing a garden was next door to the home of Claude Monet and had previously been occupied by the American artist Lilla Cabot Perry. The house shown in The House in Giverny, however, is most likely the Whitman house, the second of Frieseke's three Giverny residences. Its green shutters and the distinctive open lattice-work of green trellises laden with flowers appear in a number of Frieseke's paintings, including Lilies, Tea Time in a Giverny Garden (both Daniel J. Terra Collection), and Hollyhocks, c. 1912-1913 (Carmen Thyssen-Bornemisza Collection). The inscription on the painting indicates that it was either given as a gift or, perhaps, in exchange for services. The intimacy of Frieseke's small painting and his interest in decorative pattern links the artist more closely with the Nabi painters Vuillard and Bonnard than to his neighbour Monet or with Renoir, the French Impressionist he most admired. The artist stated his creed published in a 1914 interview: "My one idea is to reproduce flowers in sunlight. I do not suggest detail by form, as I have to keep it as pure as possible or the effect of brilliancy will be lost. Of course, there is a limit to the strength of pigments, and one can but relatively give the impression of nature. 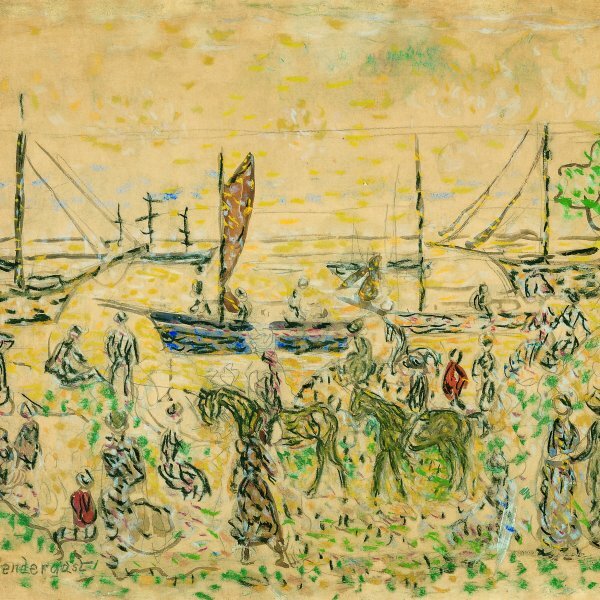 I may see a glare of white light at noon, but I cannot render it literally [...] I usually make my first notes and impressions with dashes of tempera, then I paint over this with small strokes in oil to produce the effect of vibration, completing as I go." Although not using the more brilliant colours of his later paintings, Frieseke captured with broken brushstrokes the resonant lustre of the sun-drenched scene. "If you are looking", he stated, "at a mass of flowers in the sunlight, out of doors, [and] you see a sparkle of spots of different colors; then paint them in that way." Frieseke believed that one should never work for more than an hour on a sunlit scene, for by then the sifting light would have changed. 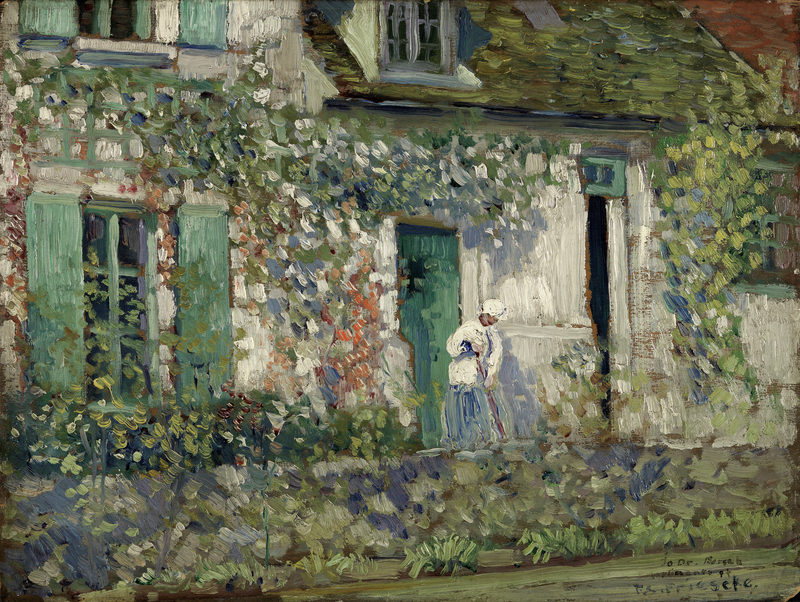 A painting by Frieseke, a critic remarked in 1913, "was painted from half-past eleven until half-past twelve on a number of sunny days during midsummer, the models taking the same poses, and gives an effect known only to modern art [...] this rendering of sunlight in a certain locality at a certain hour was never essayed by the Old Masters."